Happy bday to your cousin too! I remember that my first (of many) girlfriends back in the late 1970's had those things. 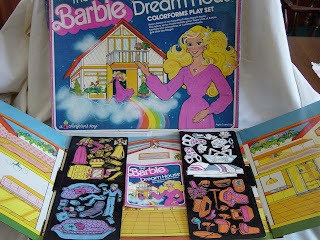 I loved Colorforms. I wish that I could remember which 2 that I had though. That was a cute commercial. I clicked onto the Pound Puppy one too - I want that Colorform set. 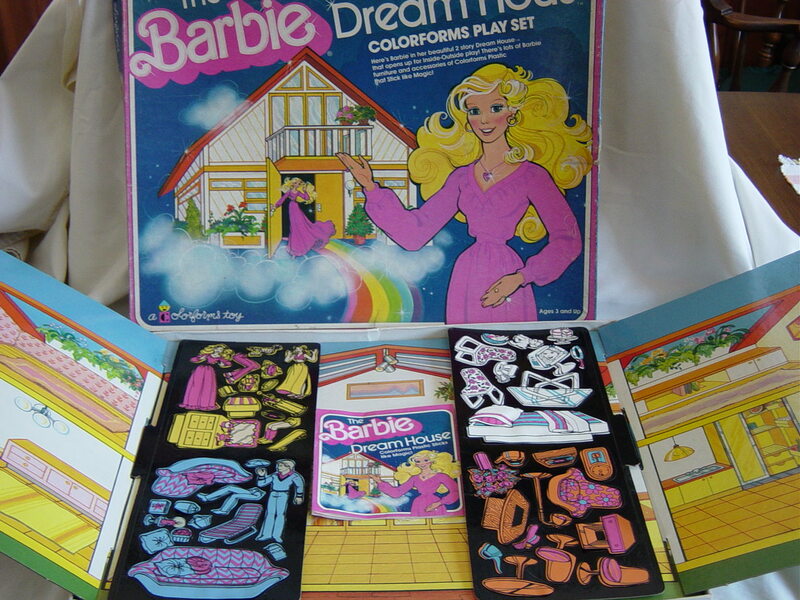 Sorry that you never got your Barbie Dream house but it is good that you had fun with your Colorform one. There's a few toys that I wish that my parents had gotten me too like Lite Brite. Of course I didn't have the Barbie set, but I definitely remember that cloriform crud. I have no idea how you remember all this stuff. Do you remember "Muscle Men". Or was this just a boy fad toy? Well - being a guy (and a bit older) I can't say I was into these. I do, however, remember them and seeing them in all sorts of different applications. I will have to admit that I did not know that they were called Colorforms. I just always thought of them as "puffy plastic stickers". I can imagine that not only were they cool to have, they probably revolutionized the sticker industry. Aaaah - I didn't know what 'colorforms' were either. Like Blast from the Past, I thought of them as puffy plastic stickers too. But these were removable, right? I'm not sure I ever had any of these myself. I don't think I ever knew about these, but I would have wanted them if I did. 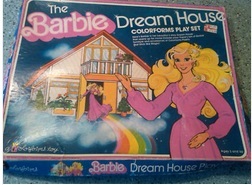 I wanted the actual dream house SOOOOOO bad, but never got it. Sigh. My parents got me a Barbie cottage & thought that was good enough. It wasn't.